We are delighted to announce that we are now working together with Haute Wedding. 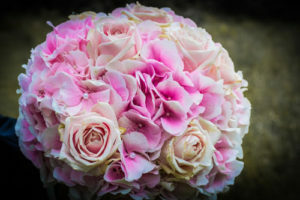 They are a team of wedding planners and stylists that provide personally tailored wedding packages for couples looking for and loving all things French. Haute Wedding specializes in luxury destination weddings throughout France. 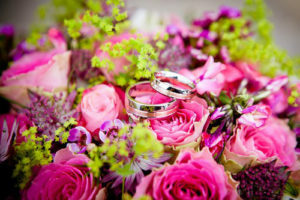 Les Charmes de Carlucet is the perfect location for your dream wedding. 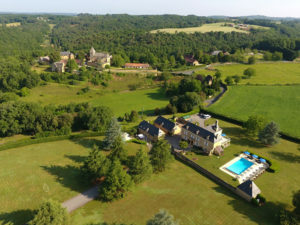 Set in 20,000m2 of beautiful secluded gardens with large heated outdoor pool and sauna, overlooking the stunning romantic church of Carlucet. This church can be used for your wedding blessing, just a 5 minute walk away. Our magnificent 18th Century Manor house can accommodate up to 15 people and the Luxury villa Beaux Reves next door, and accommodate a further 7 people. Les Charmes de Carlucet is also the perfect location for your special event, conference or team building. We can work closely with you to understand your needs and provide all the services to ensure your event is an outstanding success.